An Exciting New Fine Jewellery Concept - ‘wild Things London’ Begins Its Global Summer 2018 Tour! 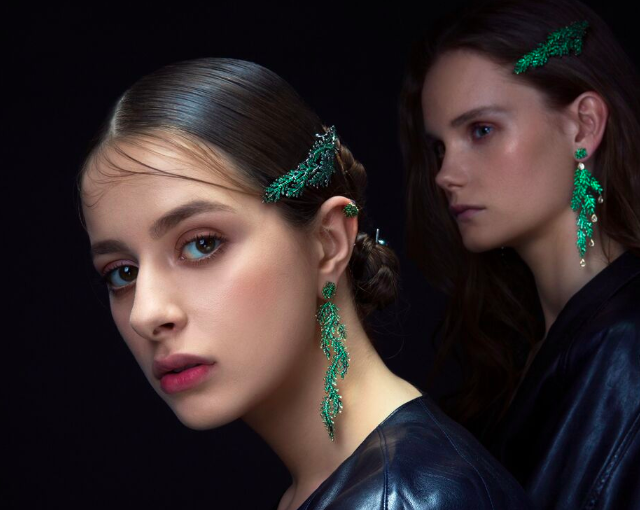 Purveyors of fine jewellery the House of Luxury – known for managing some of the world’s first-class jewellery brands, is partnering with the COUTURE show, Las Vegas (31st May to 4th June), to launch an exciting new fine jewellery concept ‘Wild Things London’. The unique concept is then set to arrive in London’s Mayfair from June 18th to June 24th, with exciting plans for the Wild Things jewellery tour to visit premier European destinations in 2018. Stemming from a consistent lineage of jewellers, the Indian-Lebanese sisters, Maya, Meena and Zeenat have the industry deep in their DNA, but rather than follow in the traditions set before them, they decided to use their provenance and expertise to create something completely different. Together they founded Mukhi Sisters, a brand that embodies the woman and her complexity. Each piece a conversation starter, creating its own experience and distinctive narrative with a unique energy. Their designs aim at expressing the individuality of each women wearing their jewellery, and the adjustability of their pieces makes mixing, matching and stacking, accessible and dynamic. Semi-precious stones, gold and diamonds are carefully used in their statement pieces, to invite us to remain true to ourselves whilst enhancing one’s confidence. The originality of their creations lies in the wearability of those pieces and their singularity as we can witness with their hair ornaments. Some of those pieces become an ingenious way to store earrings and wear them on your lobes when the time to change your outfit strikes. Established in 2009, Alessa is the brainchild of Alessandra Robles and Yuvraj Pahuja. Born and raised in Guatemala, Alessandra met Yuvraj, who comes from five generations of jewellery-production, at the GIA, where their shared love of gemology set the wheels in motion for Alessa. With each piece produced in Dubai, the brand takes pride in the emphasis they place on the fabrication process. Translated from paper to art by their creative team, the collection’s essence is the appreciation of nature, diversity and cultural wealth.